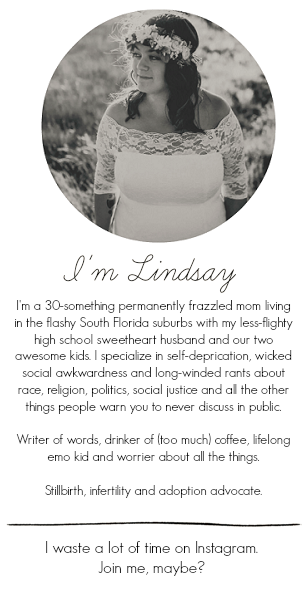 As a second generation native Floridian living three hours from Disney World, I always grew up with people who spent all of their free time at Disney World. Break from school? 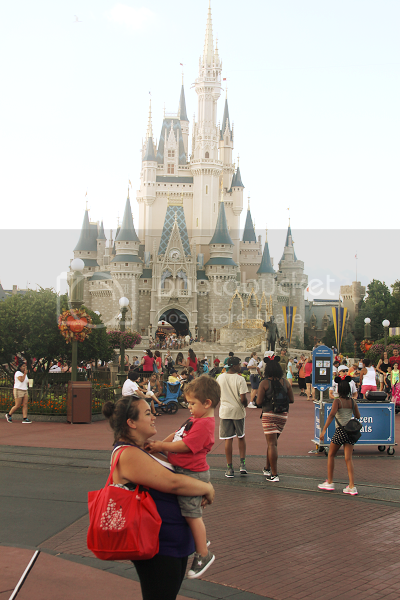 Disney World. Long weekend? Disney World. While I do have several childhood memories of time spent in Disney World, my family and I were always less into the whole "Disney thing" than seemingly everyone else. 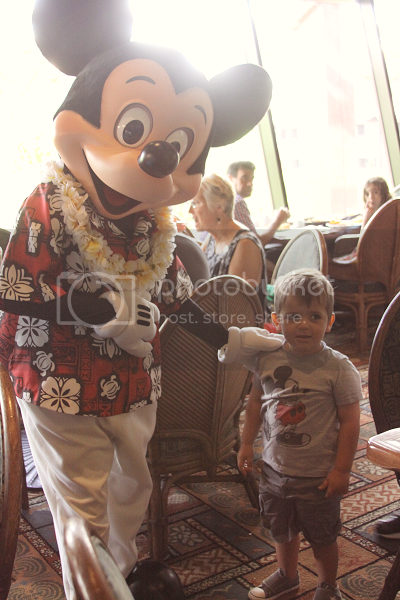 Now that I'm a parent, I knew the thrill of Mickey Mouse was something I wanted to let Ethan experience, too, and I was curious as to how Mickey would be received by him. 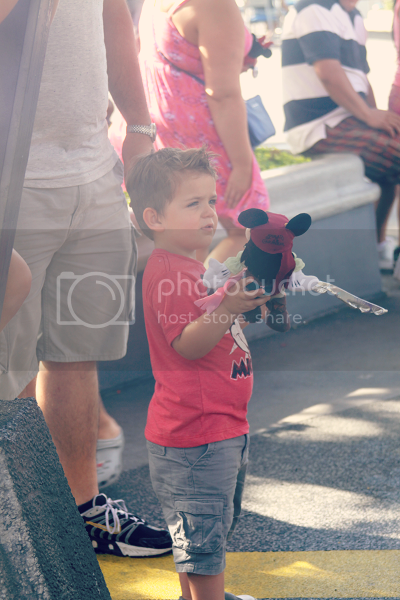 I always wondered if he'd get all spun up into the "Disney magic" like so many other kids seem to. With this being such a difficult time for our family, I couldn't think of a better time to give Ethan that Disney experience and magic that everyone is always speaking of. We kicked off our morning with a character breakfast at 'Ohana. As a "not so regular" Disney visitor, I didn't realize how far in advance you probably should schedule your character breakfasts. When I went to do so a week before our trip, I had a little bit of panic upon thinking I was too late as the website kept telling me there was no availability. While we did manage to find an open slot at 'Ohana, the time wasn't exactly ideal and I was a little stressed as to how it would cut into our park time. After a quick phone call to the Disney World reservations line, the Disney staff had no issue bumping our reservations up to a more convenient time without any hesitation at all. I was definitely impressed by how accommodating they were for something that was totally my fault. The entire 'Ohana experience was wonderful! Because my husband has Celiac disease and therefore can't have anything with gluten in it, we are used to him not being able to really eat anywhere -- or at least not without caution. The chef actually came to our table to discuss my husband's allergy with us and ended up bringing him a ton of specially prepared food -- even homemade gluten free Mickey Mouse waffles! As anyone who is gluten free knows, it's a rarity to go out to eat and actually have something like waffles, so my husband was pretty impressed. 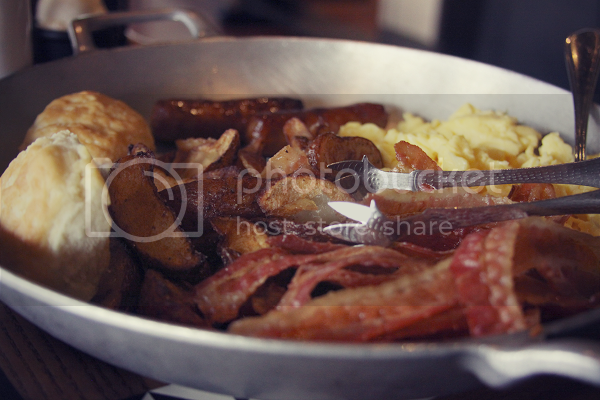 Even our waitress was made knowledgeable about the gluten intolerance and the whole breakfast went off without a hitch. 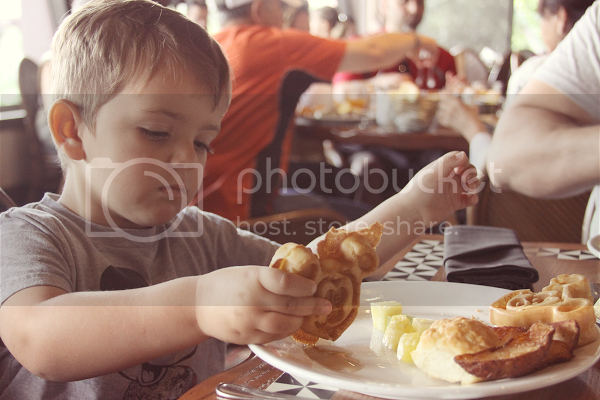 Everything was delicious and served family style, so Ethan enjoyed helping himself to all of the Mickey waffles his little belly could hold. 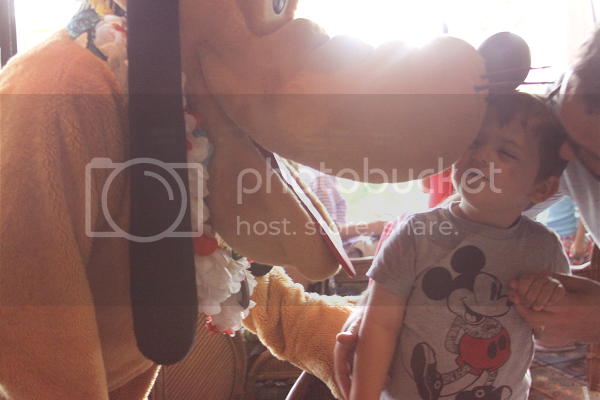 At the 'Ohana breakfast, we had special visits from Lilo, Stitch, Mickey Mouse and Pluto. Ethan had no idea who Lilo and Stitch were prior to our visit, but he absolutely loved Stitch. The characters each spent a good amount of time at each table taking photos and spending time with the kids. Ethan was ecstatic! Hugs and kisses all around. After our character breakfast, we decided to visit Animal Kingdom first. 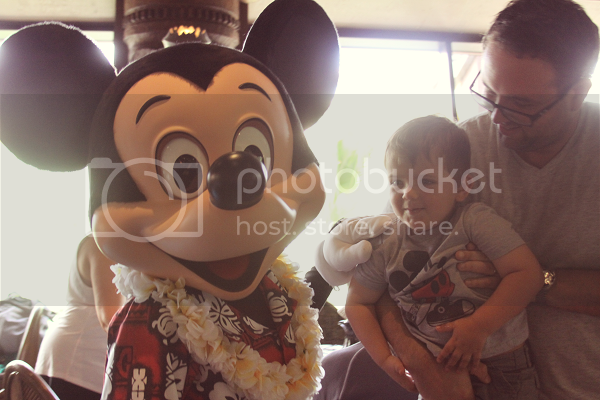 Ethan had the time of his life traveling from the Polynesian, where our breakfast was held, to the Animal Kingdom park. I guess when you're three, the trolleys and buses and monorails are all rides in themselves! As soon as we were in the Animal Kingdom park, Ethan headed right to the gift shop to pick out a special friend to visit the animals with. 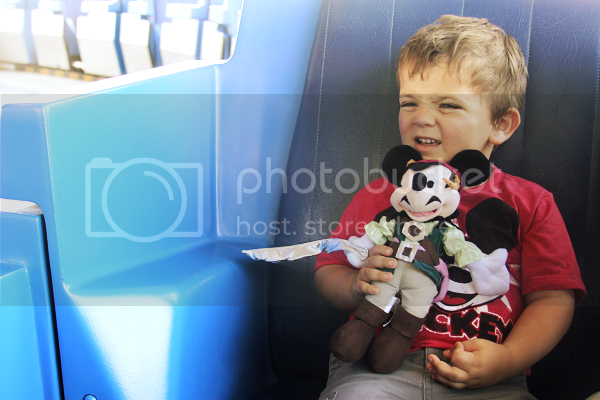 He settled on "Pirate Mickey." With Pirate Mickey in tow and sunscreen applied (a must! 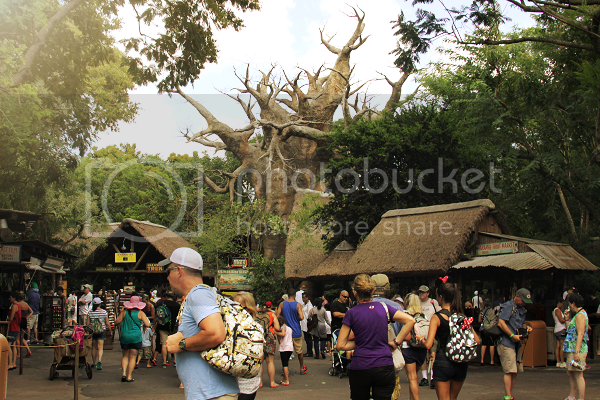 ), we set off to explore Animal Kingdom. Disney's attention to detail is truly incredible. We got to take it all in while Ethan took a quick ice cream break to the soundtrack of the drum performance in Africa. 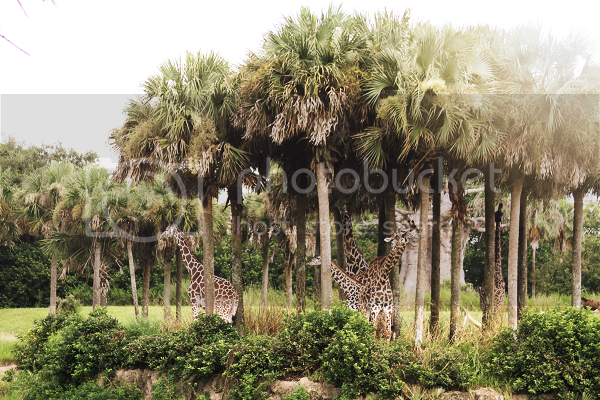 We then went on the Safari ride to check out all of the animals. One of Ethan's favorite stories is one about Curious George visiting a "wild animal park" which is set up similarly to the Safari. 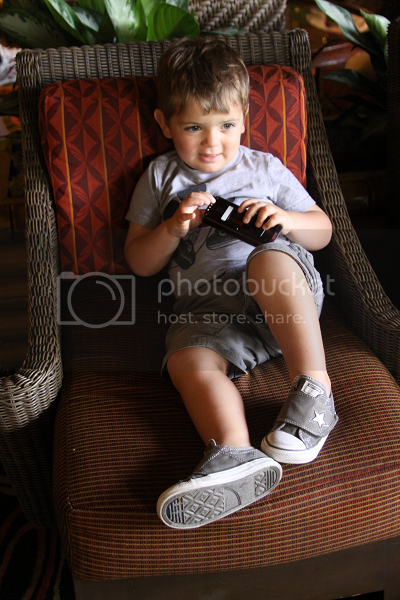 In the story, Curious George gets to see and help a baby rhino so it was fun for Ethan to be able to see rhinos, too. 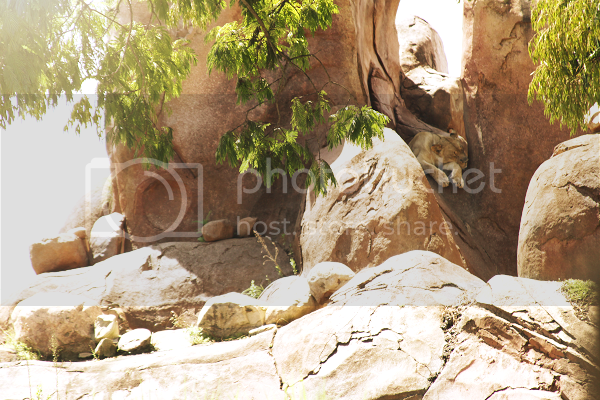 It was a hot day, but we still were able to see a ton of really cool animals you otherwise wouldn't get a chance to see, such as elephants, zebras, rhinos, giraffes and even hippos (so cute!). 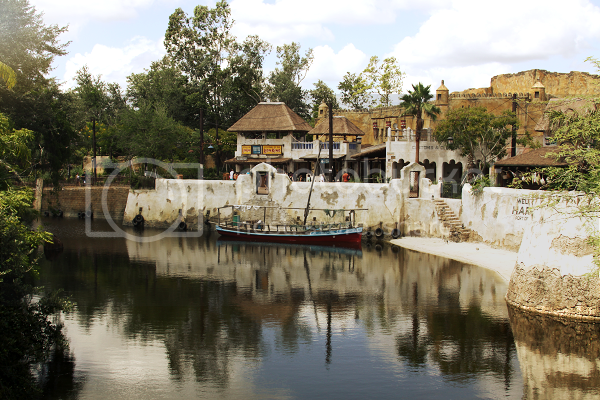 After the Safari and walking around Animal Kingdom a bit, we headed back to the Magic Kingdom. It was the dead of the afternoon and it. was. hot. 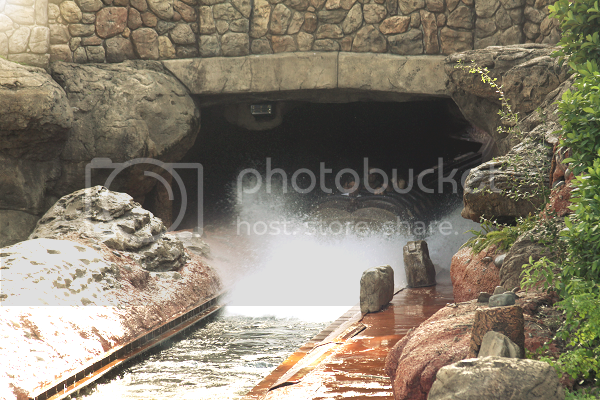 I thought it was pretty cool that Disney World allows you to bring your own water into the park. We brought an entire backpack filled with chilled water bottles and even once we drank through all of those, I was impressed that Disney sells water for a little over two bucks per bottle. I mean, the movie theater sells water bottles for nearly $6 a bottle, so it was pretty cool to see Disney keeping the price on the lower side. We did bring our own packed lunches and snacks to last us throughout the day and managed to find plenty of shaded spots to eat and cool down a little bit. The shade made the heat bearable, and there was a nice breeze throughout most of the afternoon. 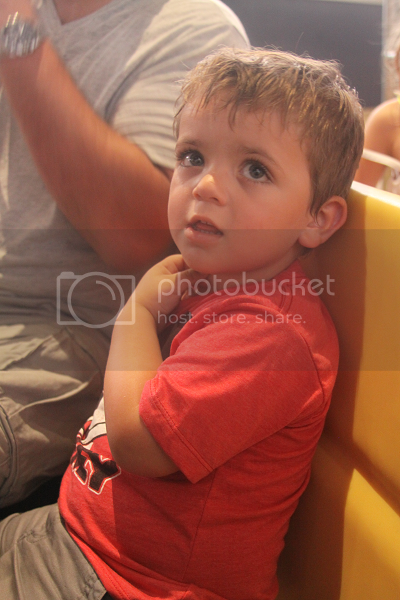 The first ride Ethan did was Dumbo, which he was so excited for going into the theme park. 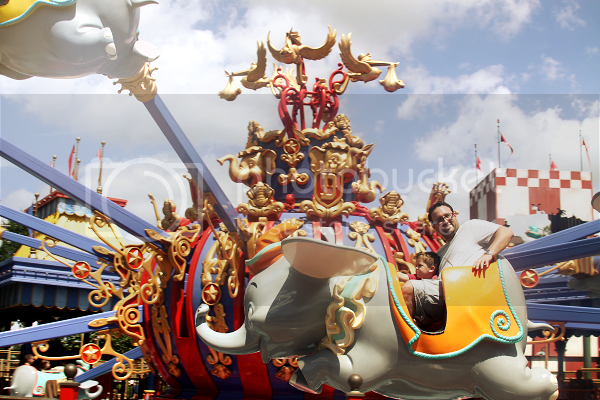 The Dumbo ride has evolved heavily -- and in the best way -- since I was a kid. There is now an indoor play area for kids to play in while waiting for their turn to ride. Instead of melting in a hot line outdoors, you now get a buzzer that goes off when it's your turn to ride and, in the mean time, you get to enjoy the air-conditioning in a cool play area. Ethan loved the Dumbo ride and I loved that there was only a 15 minute wait. All of the preconceived qualms I had going into this ended up being a total non-issue, like the wait times and lines. 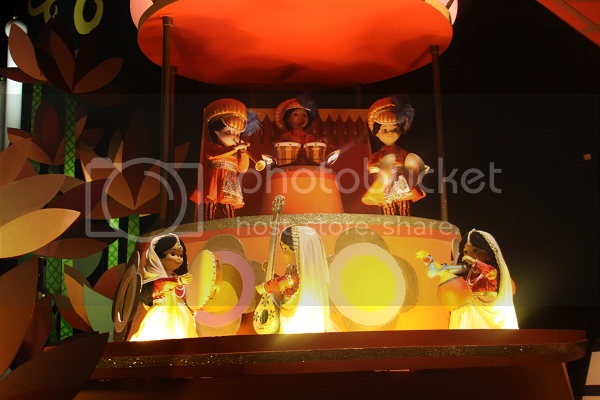 We also did "It's A Small World" which is pretty much a Disney classic! I think I spent the bulk of the ride watching the wonder take over Ethan's face. Much like Dumbo, the Small World ride had a relatively short wait (20 minutes), the bulk of which was waiting underneath an awning with fans blowing. Ethan's favorite ride was the Buzz Lightyear ride which he rode a total of four times -- three of those times were directly in a row. He couldn't get enough of Buzz Lightyear! After Ethan's Buzz Lightyear marathon, we took the people mover (which, again, is like a ride in itself) to the other side of the park. 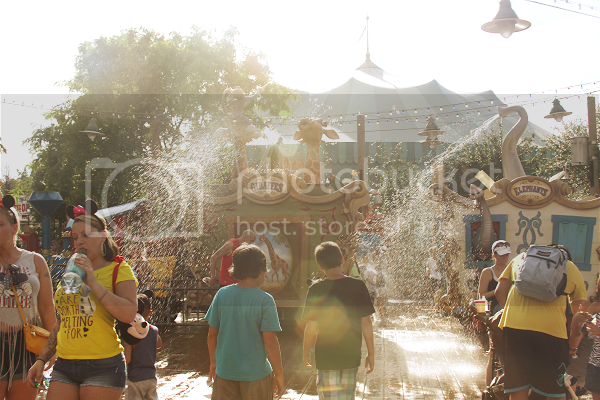 There was a misting area for a quick cool down, followed by an actual splash pad for a real cool down. The splash pad was full of people taking a few minutes to cool down from the hundred degree heat. I was surprised that Ethan wasn't interested in the Dumbo themed splash area since he usually loves the water, but he had things to do and places to see. He was taking in every last detail that Disney had to offer! 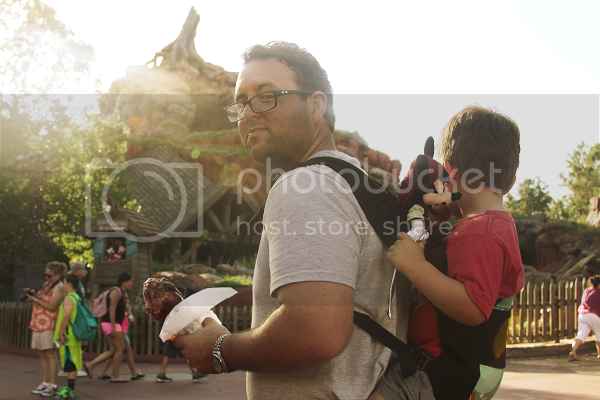 We took the classic train ride into Frontierland where my husband was waiting patiently for the turkey leg he totally earned after taking Ethan on Buzz Lightyear three times in a row (with a 20 minute wait time each time!). The only negative part of our Disney experience would be dinnertime. 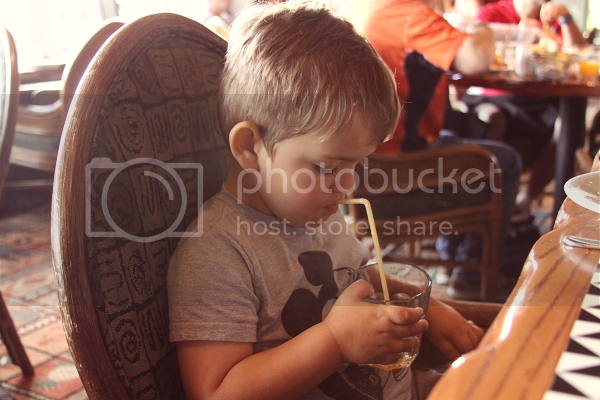 After getting off the train in Frontierland, we realized that we were going to have a hard time finding anything for Ethan to eat for dinner. Ethan's not exactly a picky eater, but he would never eat a turkey sandwich, hamburger or Uncrustable, which were the only options we could find at every restaurant we passed. 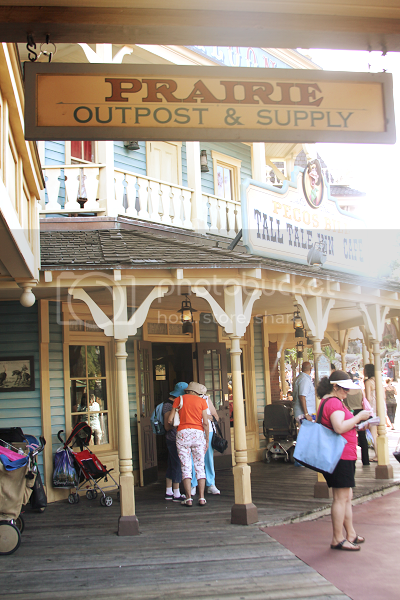 Quite a few of the restaurants in Frontierland were closed, and they so happened to be the ones with more diverse menus. After hiking our way back across the park, found a restaurant that serves grilled cheese sandwiches which we were turned away from due to lack of reservations. I ended up having to feed Ethan a dinner of French fries from a restaurant in Liberty Square which was not exactly ideal, and a little frustrating. You would think that Disney World would have more places to grab some chicken nuggets, grilled cheese, macaroni and cheese, pizza or even a plain ol' peanut butter sandwich -- but there were either none, or they were closed or on the other side of the park completely. I wish I was a little more prepared and had brought more snacks to hold him over, but I don't think he was too upset about being allowed to eat French fries for dinner. 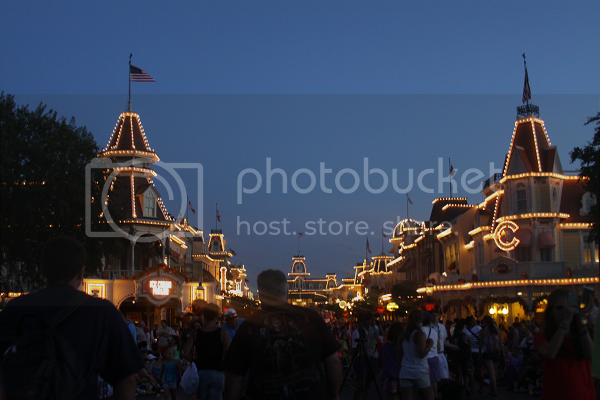 We continued to sightsee around Magic Kingdom until it got dark. Once the sun went down, the breeze was perfect and Ethan got another gust of energy. As a kid who no longer naps, he doesn't usually do well staying up late but he managed to keep his energy going late into the night! Something else I appreciated on our trip was the Baby Care Center. Ethan is still in diapers which can be quite the pain in a busy theme park, but Disney made it easy. A few times during our trip we visited the Baby Care Center to change Ethan's diaper and put on some fresh clothes as well as cool down a little bit. They had a family area where I could wipe Ethan down with some cool wipes, change him and let him cool down a little in the air conditioning before heading back outside. In the Baby Care Center, they also have a room for nursing mothers, a feeding area complete with highchairs and a spotless restroom. On our first trip into the Baby Care Center, we were greeted by a friendly attendant who let us know they also have infant formula, baby food, snacks, water and anything else you or your little ones could need. Doing much of anything with babies or small children is never easy, so I thought it was really great of Disney to make this part easier. It was great having a clean place to get Ethan changed and ready for the next adventure. 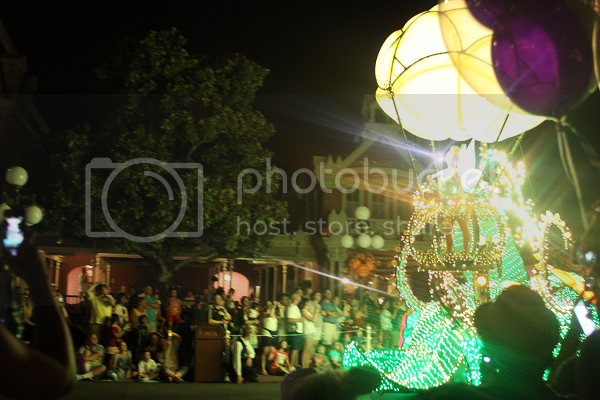 We eventually found a spot on the sidewalk to sit and watch the 9:00 p.m. Disney parade. 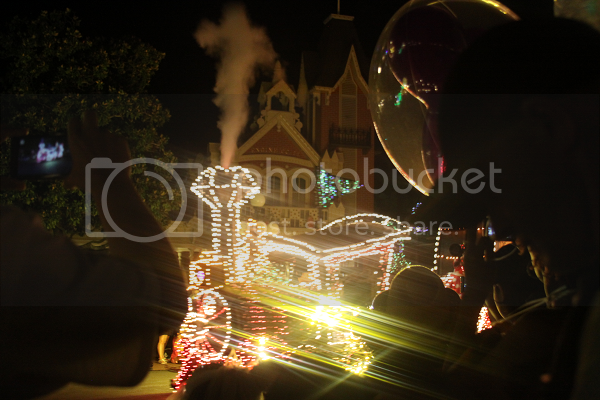 The lights along Mainstreet were dimmed as the electrical parade began. 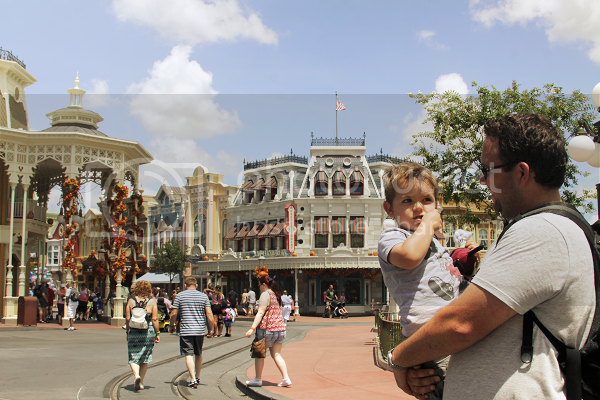 Watching Ethan's face during the parade again reminded me of that Disney magic I hear about so often! After the parade, Ethan was slowly winding down from his over twelve-hour long stay at Disney World, so we made our way back to the parking area. We decided to take the ferry back to the parking area as we hadn't done that yet. Ethan was so excited about the "boat ride" and even got to see some fireworks from the window of the ferry which was the perfect finishing touch of the day. "That boat ride was so much fun" were some of the last words Ethan muttered before he passed out asleep on our drive back. Our day at Disney World was awesome! 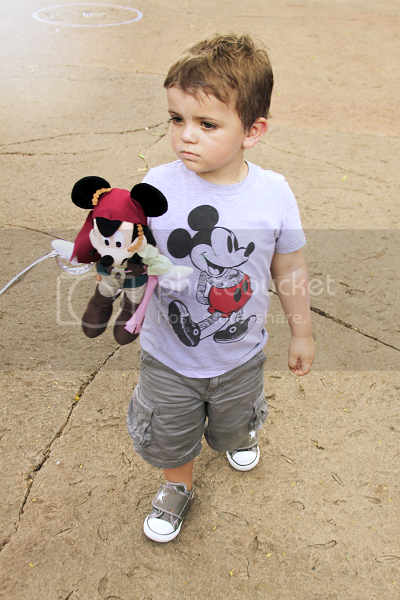 (Parents, you're going to give me the side-eye but I mean it when I say a day in Disney is still easy and fun!) 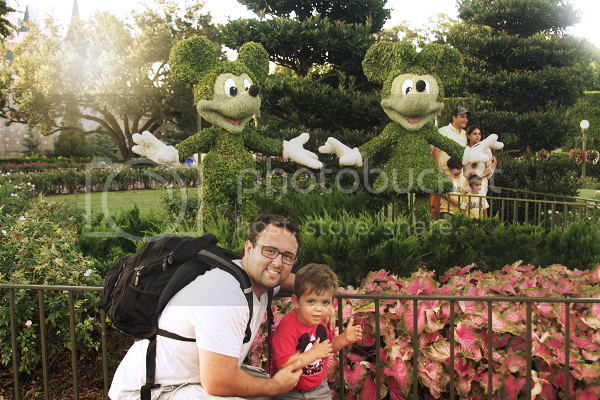 Ethan had a great time and we had an even greater time watching the magic come alive for him. 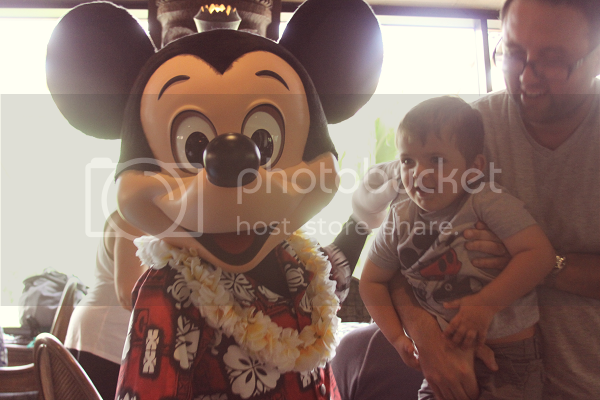 I don't think I'll ever forget his face when he met "the real Mickey Mouse" and I don't think he has put his Pirate Mickey down since we got back from the park. On the drive back from the parks, while Ethan slept, my husband and I spent the drive time discussing the next time we visit. I guess that means we're officially believers in that old Disney magic. Our family received one day park hopper tickets to Disney World to facilitate a review. No compensation was provided and all photographs and opinions expressed are completely my own. I have annual passes to Disney, and most of the time I enjoy it. 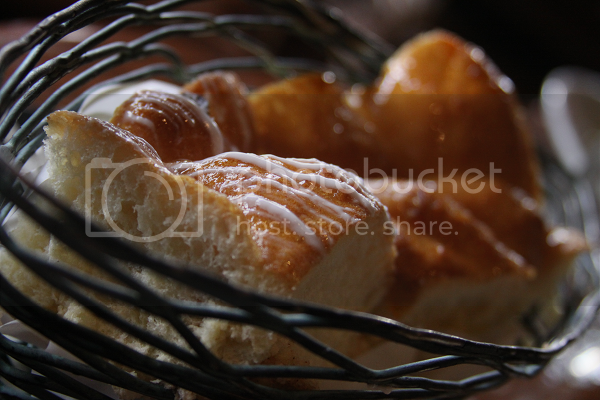 We take all our own drinks and food to keep it as inexpensive as possible. I am always impressed at how Disney will accommodate food allergies. I have seen chefs talk to guests in order to make a meal that they can eat. 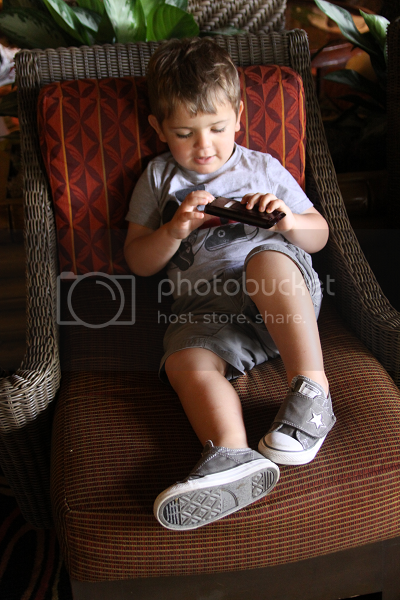 I love all the pictures of Ethan. 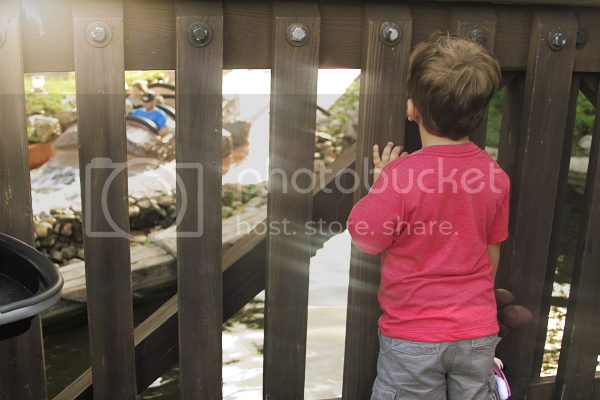 It is incredible how kids immerse themselves in the magic. Even my 1 year old loves going. We were just there a few weeks ago and I recently posted about our trip too. I was so annoyed with the lack of dinner options as well. We wandered the Magic Kingdom for about 20 minutes before we settled on a place but Aubrey barely ate as she's a picky eater as well. Such a shame!